Oftentimes, visiting the airport can be unpleasant to say the least. For children with autism, the long lines, constant noise, and other stimuli can be completely overwhelming and make travel impossible. To help combat this, on April 18 AHRC New York City took part in the Arc of the United States’ Wings for Autism program at LaGuardia Airport. 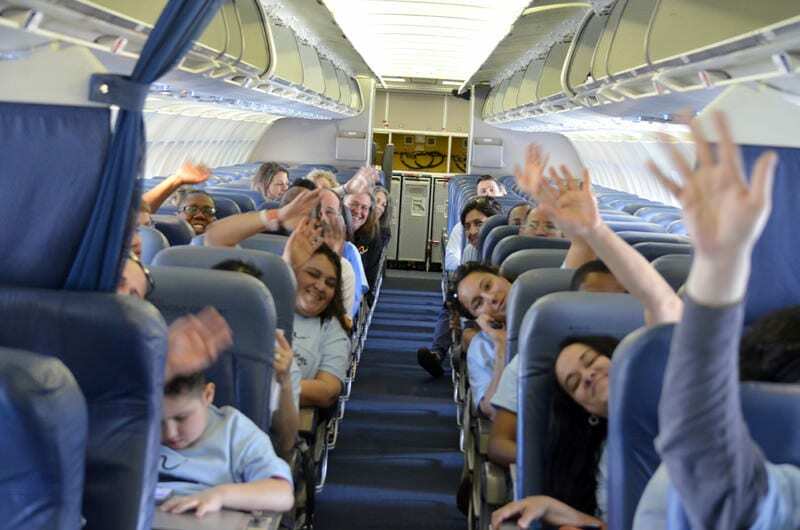 Wings for Autism is an airport “rehearsal” specially designed for individuals with autism spectrum disorders, their families, and airline professionals. The program is intended to reduce some of the stress that families who have a child with autism experience when traveling by air. Families from AHRC NYC’s school age programs arrived at LaGuardia at noon, and proceeded to get their own boarding passes, go through security, and even get on an airplane! AHRC NYC thanks the following for their efforts in organizing and facilitating this rehearsal, for all of the support that they have provided to families: Joanne Feltman of LaGuardia Airport, Guy Lainis and Veda Simmons of the Transportation and Security Administration, the staff of Delta Airlines, The Arc of the United States, and the staff of AHRC NYC’s Educational Services.